The end of a significant year for Stirling, and the historic, 140th anniversary year for the Stirling Smith Art Gallery and Museum, will be brought to a colourful conclusion by an exhibition of the work of the Scottish artist Ailsa Black. Weather forecasters have promised a snow- free December, but Ailsa Black is the mistress of the snowy landscape. In many of her works, she captures the magic, sparkle and excitement of falling snow remembered from childhood. She describes her work as an expression of Scottish contemporary rural life and she focuses on the interaction of landscape, animals, birds and people, producing a unique perspective on the world around her. Her work is quirky and naïve, with clean lines, sharp colours and a simplicity of form which has a decorative clarity. She works mainly in acrylics, but whether you choose an original work or a limited edition print, it will be a focal point for the wall on which it hangs. Although her work is well-known through prints, cards and mugs sold across Britain, few people outside of the Dumfries and Galloway area where she lives and works, will have seen a solo show by her. 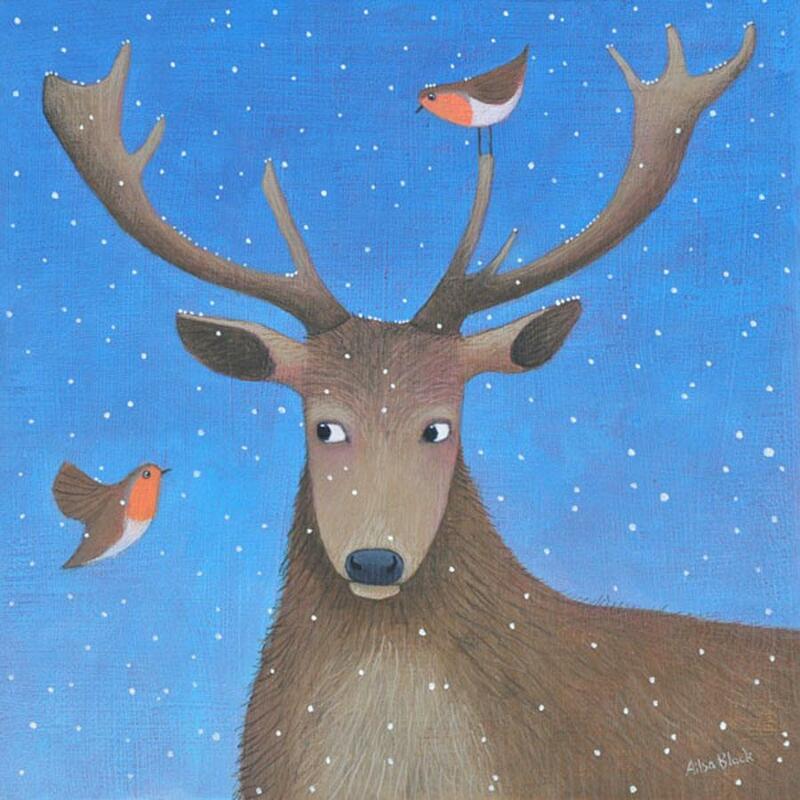 The exhibition opens at 2pm on Saturday 6 December, and all are invited to enjoy the snow scenes at the Smith. There will be a competition for a prize hamper, to be drawn at 3pm.